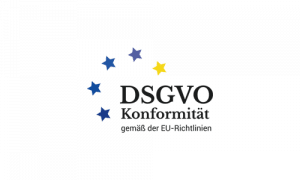 The Central User Guide of the forum electronic bill Germany, or ZUGFeRD for short, is an electronic data format for exchange of bills. What sounds banal at first, is on the best way to become a new standard for account communication between two companies, administrations or authorities. It is therefore worthwhile for every small and large company to deal with the topic at an early stage. Every year around 32 billion invoices are exchanged in Germany. Surprisingly: only 10 percent of the invoices are sent electronically. The potential for savings is obvious. In addition to postage and paper, there is also no need for manual effort, which is particularly high for subscription companies with recurring invoicing and recurring billing. But what is the difference between a traditional PDF invoice and a ZUGFeRD invoice? 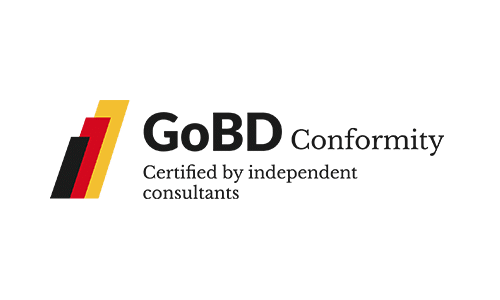 Simply stated, a ZUGFeRD-compatible bill consists of two well-known formats, namely the PDF and an XML. 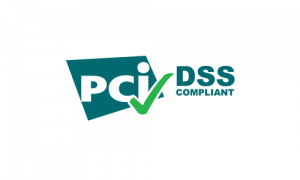 It is therefore a hybrid file that has a visual component with the PDF and with the XML a data-based offshoot for further automated processing. Due to the fact that structured XML data is also available in the ZUGFeRD format, electronic invoice processing is easily possible in the company-specific accounting system. The manual transmission of billing data in a digital tool is thereby eliminated. Especially in the subscription economy, agile approaches such as these are necessary to accommodate the flexible subscription offers and rates. Why is ZUGFeRD becoming the new standard in invoice processing? 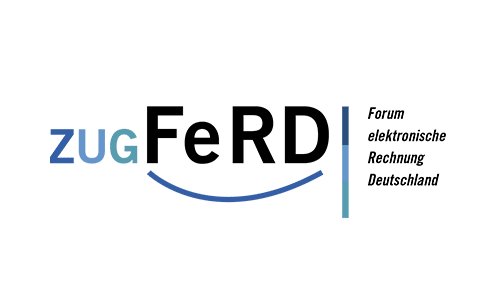 The forum electronic bill Germany, short FeRD, is a national platform of federations, ministries and enterprises in Germany. The organization has set itself the task of promoting the acceptance and distribution of electronic invoices and their processing. The list of members already reads like the who-is-who of the German economy. In addition to the Federal Ministries of Finance, Economics and the Interior, the industry association Bitkom, the software company DATEV, the Association of the Automotive Industry, the Association of the Electrical Industry and many more joined the forum. Every company that chooses the ZUGFeRD standard is in a better business and prepares its own company for the future. By the way: Billing with billwerk is compatible with the ZUGFeRD standard (1.0). For whom is ZUGFeRD relevant? 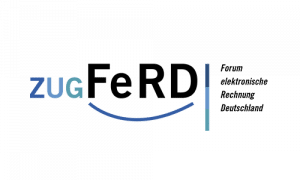 The prerequisite for the success of ZUGFeRD was and is the development of a uniform data format that is accepted by both business and public administration. Both are guaranteed by the FeRD members. All authorities and tax offices accept the new standard in accounting. Especially small and medium-sized companies the ZUGFeRD format should be an aid in accounting. It is obvious that companies in the Subscription Economy in particular, can benefit from the new accounting standard. Compared to pay-per-product offers, electronic invoice processing is inevitable with digital subscription models. Efficiency and speed in processing customer inquiries are important factors for a well-functioning, dynamic subscription business. ZUGFeRD does not care in which industry you are. All types of SMBs, large companies, software manufacturers, service providers, and non-governmental organizations can benefit from the new invoice format. The ZUGFeRD standard is now optionally available to billwerk customers. Billwerk customers can activate the feature for their account and use and test it without restriction until further notice. billwerk customers who are interested should contact billwerk support directly by phone or e-mail. The feature can be activated within a few hours. The question still arises as to how future-proof the format really is. Isn’t it possible that other formats are being developed in parallel and that we will have to adapt to a new format in a few years’ time? The probability is extremely low.Although there is a certain amount of competition of ideas between the Federal Ministry of the Interior and the Federal Ministry of the Economy but future accounting standards, such as the X-bill, should, according to experts, be recognized and used on an equal footing. Viewed individually, ZUGFeRD is known to be a combination of a PDF and an XML file. Formats that have been standard for a long time worldwide. In contrast, the XRechnung is a purely structured data record without a PDF component. The sustainability of the ZUGFeRD format is also made clear by the fact that the format was developed jointly by industry and the public sector – without financial interests. The goal has always been the widest consensus possible, based on global standards and European recommendations. In addition, a new version, ZUGFeRD 2.0, was developed and approved in September 2017. ZUGFeRD 2.0 in profile EN 16931 complies fully with the European standard and can therefore be received and processed by all European administrations in accordance with EU Directive 2014/55 / EU. In addition, the 2.0 version is based on the latest international UN / CEFACT standards of the United Nations. Companies that opt for ZUGFeRD, no matter how large, rely on a real driving force in accounting. After all, the future no longer belongs to paper and postage, but to efficient and cost-saving electronic invoice processing.